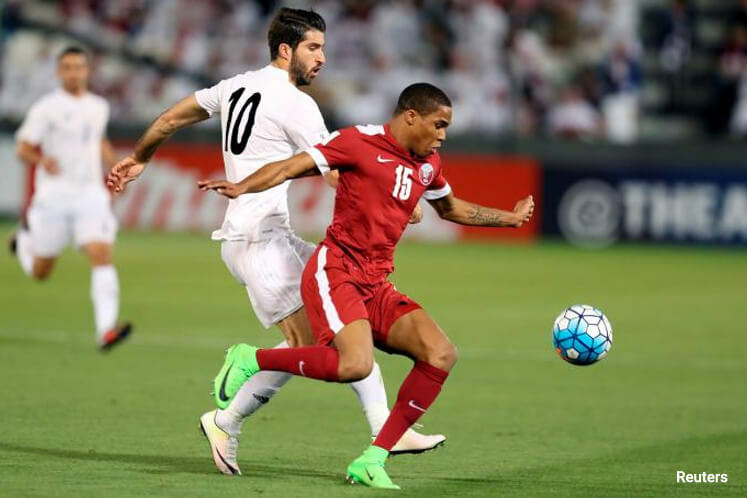 AL AIN/SYDNEY (March 23): Japan stayed on course to book their spot at next year's World Cup finals as Vahid Halilhodzic's side handed the United Arab Emirates a 2-0 defeat on Thursday, while Iran recorded a 1-0 win over Qatar. Yuya Kubo and Yasuyuki Konno scored a goal in each half for the Japanese as the four-times Asian champions remained locked on 13 points with Saudi Arabia in Group B of Asia's qualifying tournament after Bert van Marwijk's team recorded a 3-0 win over Thailand in Bangkok. The two countries moved three points clear at the top of the standings, with Australia dropping into third as a result of their 1-1 draw with Iraq in Tehran. The third placed team in each of Asia's two qualifying groups goes into a playoff. Mathew Leckie gave the Socceroos the lead after 39 minutes, only for Ahmed Yasin to score from close range with 14 minutes remaining to pick up a point for the struggling Iraqis. "It was a tough game," Australia coach Ange Postecoglou told Fox Sports. "We just weren't strong enough in the defensive areas and we were continually scrambling for things and never really got hold of the game. I thought the first half, in the last 20 minutes we got good control of it and probably needed a second goal and in the end they got one. "Our performance probably didn't warrant three points today and fair credit to them they worked hard. We didn't cope well in the second half and in the end they probably got the point they deserved." Saudi Arabia secured a comfortable win in Bangkok as the Gulf nation continued their march towards their first appearance at the World Cup since 2006, with striker Mohammad Al Sahlawi on target to register his 15th goal in all phases of qualifying so far. Iran, meanwhile, strengthened their grip on top spot in Group A with a 1-0 win over Qatar that moves Carlos Queiroz's team four points clear of second placed South Korea and a further point ahead of Uzbekistan in third. Mehdi Taremi scored the only goal of the game for the Iranians as Qatar's chances of qualifying for the World Cup before hosting of 2022 tournament appears to be fading fast as they dropped to the bottom of the standings. Syria had an injury time penalty from Omar Khrbin to thank for keeping their hopes of a first-ever World Cup finals appearance alive, as they secured a surprise 1-0 win over Uzbekistan. Despite being forced to play their home games in neutral Malaysia due to security issues in Syria, the country's national team is just two points behind South Korea, who sit in the second of Group A's two automatic qualifying spots for Russia 2018. The Koreans slipped up against China when Marcello Lippi's team scored their first win of the current phase of the campaign by virtue of Yu Dabao's goal, with the victory taking the Chinese onto five points to maintain their slim chances of qualifying for next year's finals.